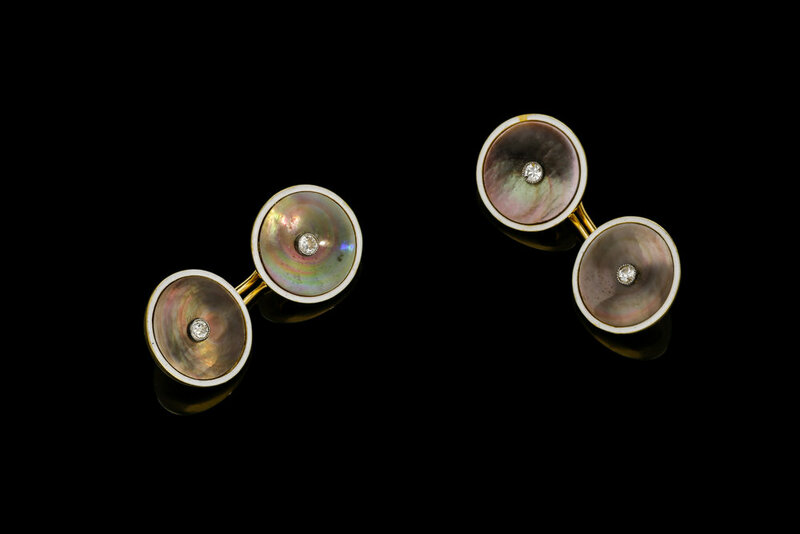 A stylish pair of antique black mother of pearl, diamond and white enamel cufflinks in 18ct yellow gold. Each cufflink is double sided with a circular disk fitted to the centre with a round Old European cut diamond in a mille grain collet setting encased by a black mother of pearl surround and framed by a fine white enamel border. Fitted to reverse with a figure of eight connector.